"John McClain is back! The latest installment of the Die Hard film franchise, 'Live Free or Die Hard,' is now in theaters and rumor has it that some Sideshow Collectible items make a guest appearance. A brand new, 8-minute clip of the film has been released on the internet, featuring a starring roll for our 1/4 scale Endoskeleton! You may also catch a glimpse of our other items featured in a few scenes of the film, which hits theaters on Wednesday, June 27th. 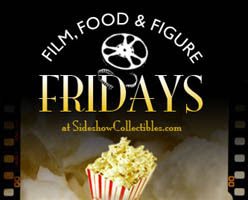 Keep your eyes peeled for Sideshow stuff, and visit the Sideshow site for your chance to win! Follow the contest link for all the details." CONTEST on FRIDAY ... JUNE 15TH! 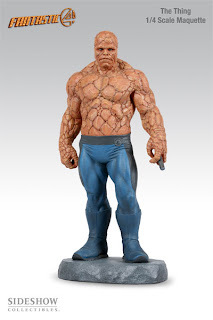 WIN a Fantastic Four Extended Cut 2-Disc Edition DVD, a 1/4 scale maquette of "The Thing" from Sideshow Collectibles, and BIG bag of popcorn. This month's contest will start at 9am PST on Friday, June 15, 2007. All entries received before then will be disqualified! Sideshow will be collecting completed entry forms throughout the day, and then one random winner will be chosen from all participants at 6pm PST. The winner will be contacted via email. »» Click on the contest link in the sidebar for more info.